Download Outdoor Advertising Billboard Mockup. This is a Free Mockup of Advertising Billboard Mockup which will help you present your ad, brand advertisment, poster, flyer, product advertisment, promotion ads etc in a realistic outdoor environment. 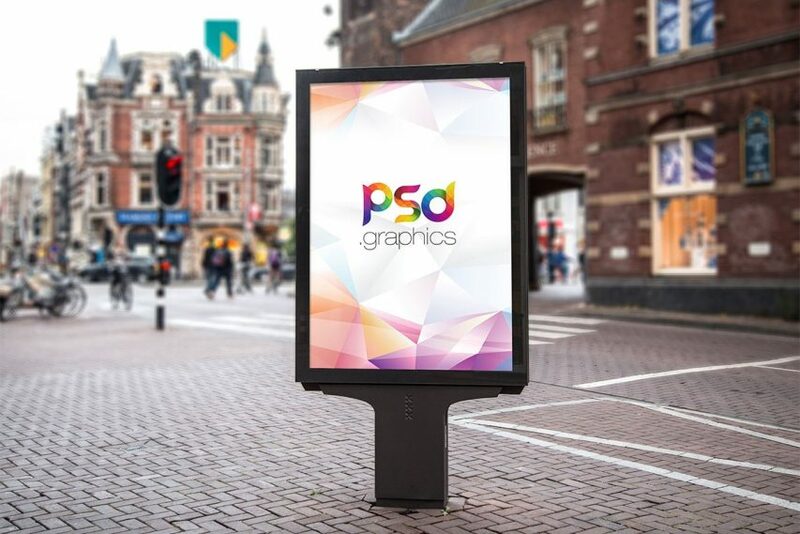 This free outdoor billboard mockup will also give your clients a realistic view of the designs related to the outdoor advertisement. Using this Outdoor Advertising Billboard Mockup you can easily promote your brand or products in a really interesting manner. This free mockup template contain a special smart object layer which you can use for replacing your billboard design in few clicks. Just double-click each smart object layer, A new document will open up where you can edit or add your pre-designed artwork and after you are done, just click save and your new work automatically updates in the Billboard Mockup.